Error fare British Airways return flights to Hawaii from €344! Open-jaw flights to Africa (Kenya, Ethiopia) return to London from £215 (€251)! Error fare return flights from France to Alaska from €343! Error fare British Airways return flights to Hawaii from €344! Do not miss this amazing opportunity to travel to Honolulu from Europe for such an incredible rate. Round trip flights from main airports in France (Paris, Lyon, Marseille) are now available already for €344. Note that in case of error fare deals there is always a possibility the flights will be cancelled in the end, do not call the airline nor booking agent before this deal is gone.. As the flights are routed via London we are also adding some great solution to end your trip in the UK and not continue to France when returning from Honolulu.. If interested in this solution with British Airways / American Airlines you can find plenty of travel dates between October 2016 till May 2017. Blackout period around Christmas holidays. These error fare flights will be surely fixed anytime soon so book asap. In case of error fare flights we also strongly recommend to not book your connection flight nor accommodation before you receive formal confirmation. 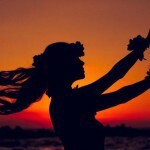 Booking sample fo Cheap error fare British Airways return flights to Hawaii from €344! In this case you would be leaving from Paris to Honolulu on 31st of October 2016. You would be returning back from Hawaii to Europe on 14th of November 2016.